Local artist and businessman, David Boone has done many things for a living from working on oil rigs in the West to creating beautiful birdhouses that he and his wife, Julie, have sold all over the country. They began selling their artistic birdhouses in 1989 at various shows and festivals around the country. At these shows they were able to meet other artists, blacksmiths, and craftsmen and the idea to create an art gallery was born. Their art gallery, Wildcat on a Wing was opened in 1996 and features original, handmade pieces from artists across the U.S. and Canada. Now they have expanded and have planted approximately four acres of vineyard and are constructing the first winery in Cherokee County. When completed later this year, Wild Cat on a Wing will feature a full winery, tasting room, and art gallery. 44 years now, my parents moved to Woodstock when I was nine years old. 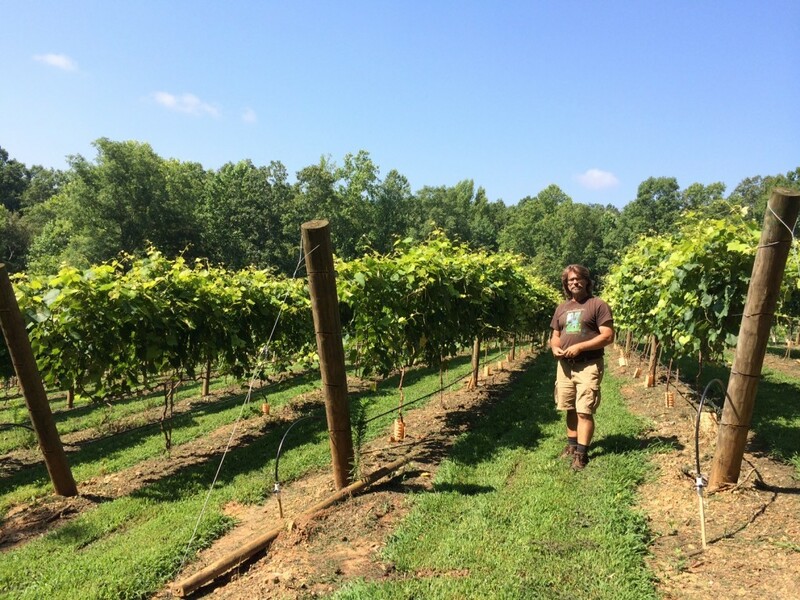 David stands in his beautiful vineyard that covers just over four acres in one of the most beautiful settings you will find in Cherokee County. Having a small business and now the vineyard our lives are pretty consumed with what would be considered work. Julie runs the gallery and I’m either in the vineyard or in the shop so it is always nice when we sit down together in the evening and catch up with what the other one had going on. I started a test vineyard six years ago with seven different varieties and chose the ones that grew the best and made the best quality wine. David displays one of the many beautiful bunches of grapes that will soon be made into Cherokee’s own wine. 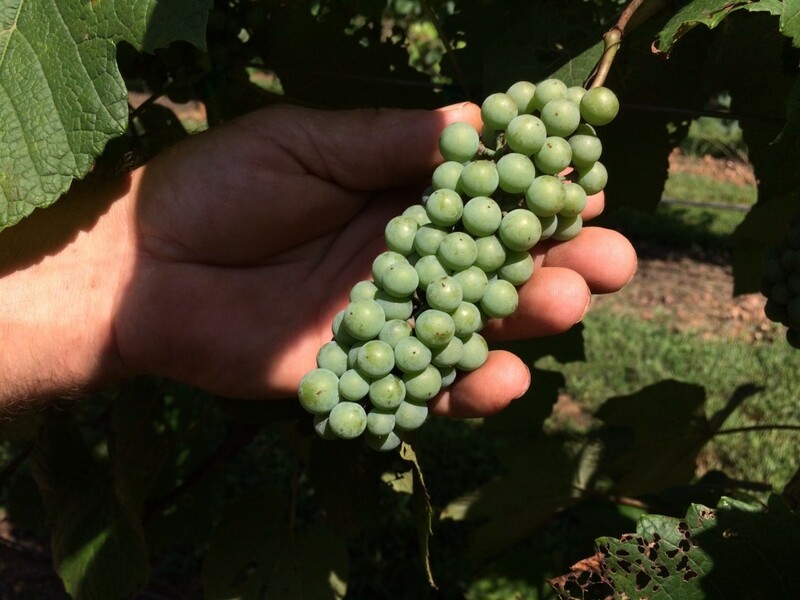 The learning curve of growing a new grape variety. I love being outside, staying busy and working with my hands and what I do allows me to do that. 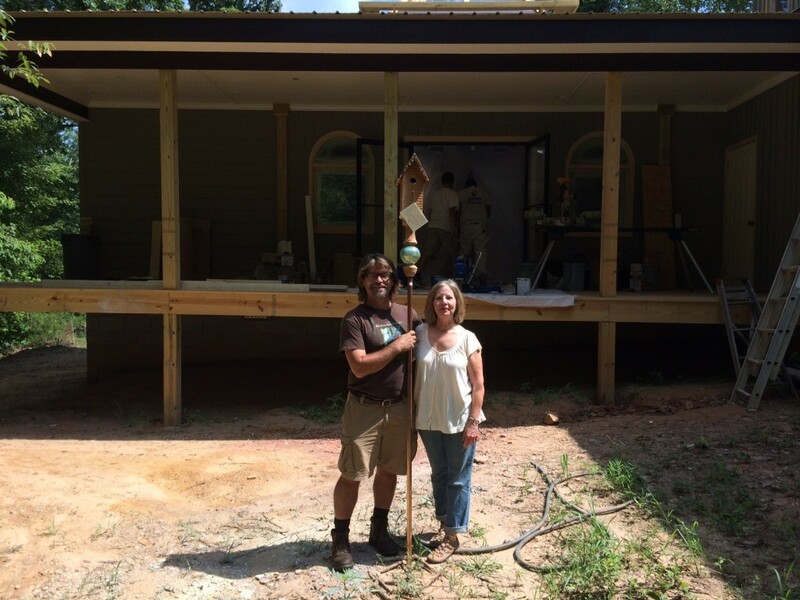 David and Julie stand with one of their famous birdhouses in front of the tasting room which is soon to be finished. Posted in Cherokee County, local business, Winery. Bookmark the permalink.